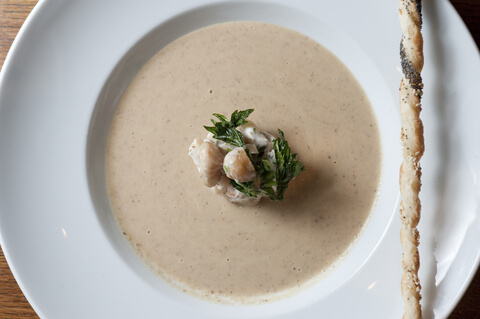 This creamy and rich chestnut soup will leave you asking for more! This soup can also be made with vegetable stock and will please all your vegetarian friends. Making food creamy and rich is the topic of this cooking class and also includes a recipe for Fried Egg with Watercress Couli.